In the Nature Methods (journal impact factor 25.3) January 2017 issue “Epitranscriptome analysis” is presented as the method of the year. In recent years, it has become clear that RNA molecules, including mRNAs, can be dynamically modified. Thus, this allows for a new strategy for gene regulation with vital biological consequences. Epitranscriptome analysis relates to methods that can profile RNA modifications in a sequence specific manner. In a commentary to this discovery, Klungland and co-workers from Department of Microbiology and Department of Gynecology, OUS, discuss the role of such modifications for the maturation of sperm and egg (meiosis) and pluripotent cells. Owing to technological advances, knowledge of epitranscriptomic marks has recently advanced tremendously. General aspects of eukaryotic meiosis. Studies in model organisms indicate a distinctive role of modified adenines in mRNA in the completion of meiosis. 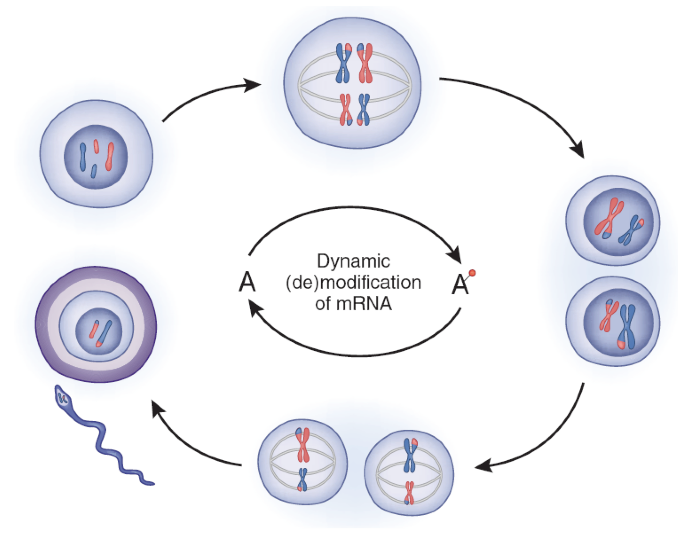 In meiosis, the translation and stability of presynthesized mRNAs is crucial for gene regulation (Figure from Commentary). Reversible RNA modifications in meiosis and pluripotency. Nat Methods. 2016 Dec 29;14(1):18-22. doi: 10.1038/nmeth.4111. 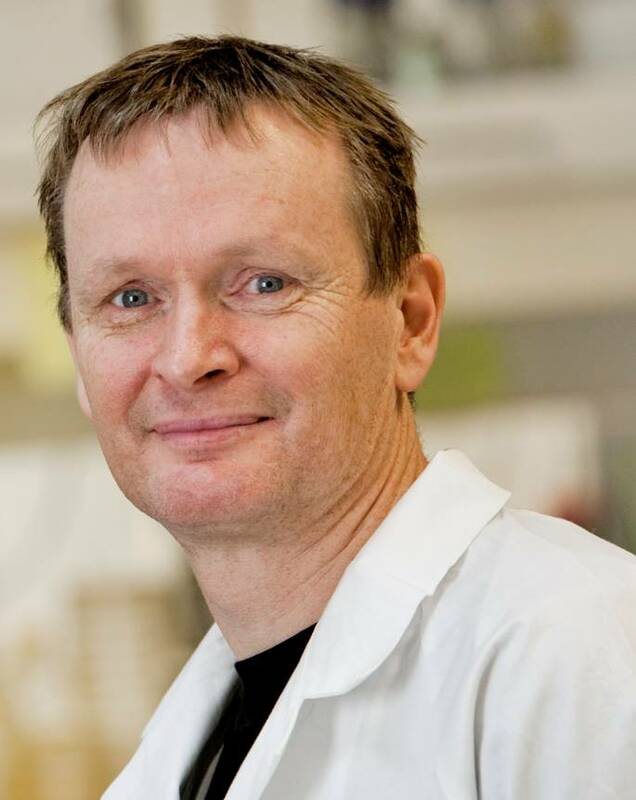 Home page of Arne Klungland's research group "Laboratory for Genome repair and regulation"